I call my sewing projects Project MyWay because I’m a self-taught seamstress and sometimes I do things in an unorthodox way. I don’t really care if it’s the “right” way, as long as I get professional results. 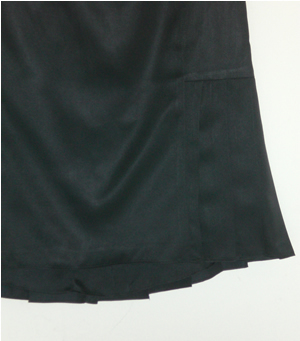 Project MyWay #1–Black Silk Skirt Alteration Part 1: I found a TSE skirt at Saks Fifth Off for over $600 off the regular price; here is the original garment which had a very strange fit. 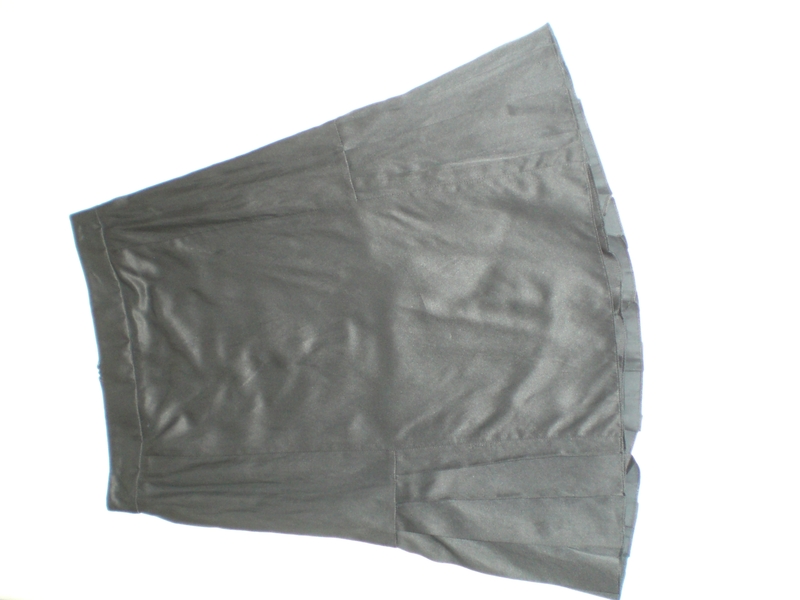 Project MyWay #1–Black Silk Skirt Alteration Part 2: I cut the TSE skirt off at the waist and created a new waist and a shorter skirt–turned out great! Project MyWay #2–Black Silk Anorak: An anorak made from black silk shantung and lined with satin backed flannel, it’s good looking and extremely practical. Project MyWay #3–Black Cashmere Knit Coat: A between season coat made with a beautiful cashmere sweater knit that I lusted after for a year. Project MyWay #4–Garnet Silk Crepe de Chine Blouse: I re-designed a Butterick pattern to copy an expensive blouse I saw at Nordstrom. Project MyWay #5–Nanette Lepore knock-off blouse: I copied a silk blouse in a popular style at a fraction of the retail cost. Project MyWay #6–Yellow Crepe de Chine Blouse: A blouse with pleating detail in this season’s must have yellow. 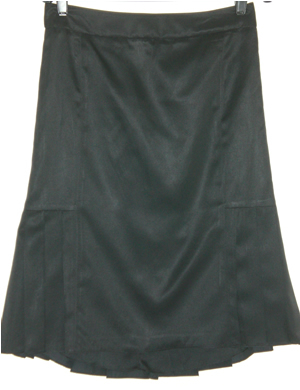 Project MyWay #7–Michael Kors Knock-off Dress: This was the perfect dress for my daughter’s graduation and so quick to put together, I made it the morning of the ceremony! Project MyWay #8–Tank Dress: I got the idea for this outfit from Dolce & Gabbana’s Spring ’08 RTW Runway show.